« No More Boring Treadmill Workouts! This was a fun circuit I did yesterday. I used a black bodylastics band to get me through the pull ups (love using these bands for assisted pull ups). At round 3 I was thinking, “really Bonnie, 10? Why did I say 10?” lol. But then at round 5 and 6, I felt there was hope as I saw 10 getting a little more in my reach. Maybe you are reading this and thinking “I can’t do that”, well think again! 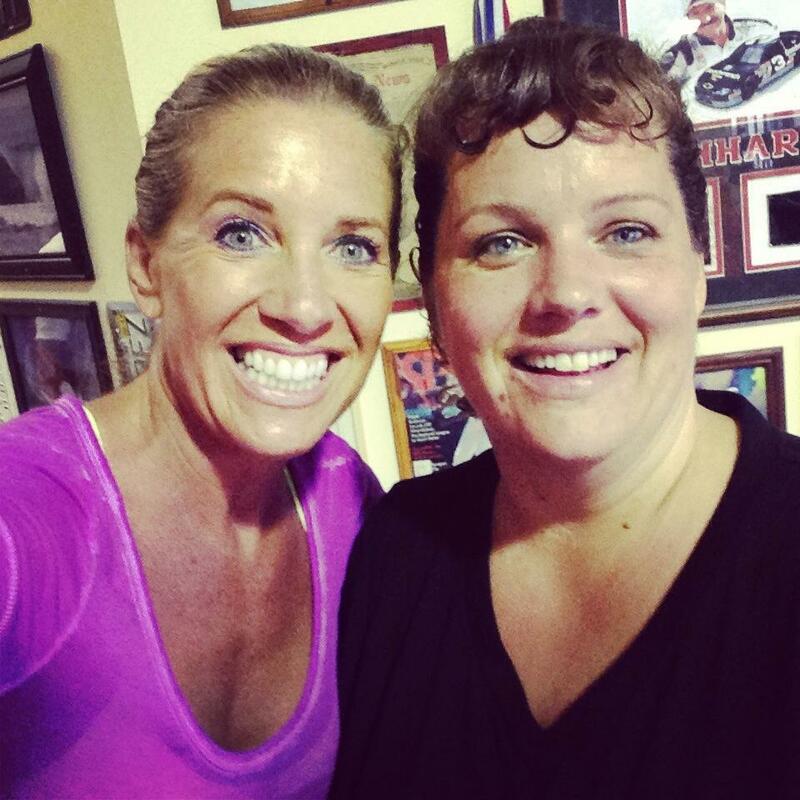 I worked out with one of our boot campers who modified the workout and got just as good of a workout as me. Instead of doing pull-ups she did band pull downs. Instead of doing military push ups, she did modified push ups on her knees. 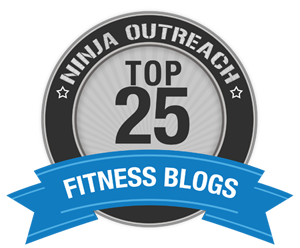 On the last round, we BOTH were struggling to get the last few reps of each exercise – and both felt a great sense of accomplishment when we were done! Now, go get your push pull workout on! 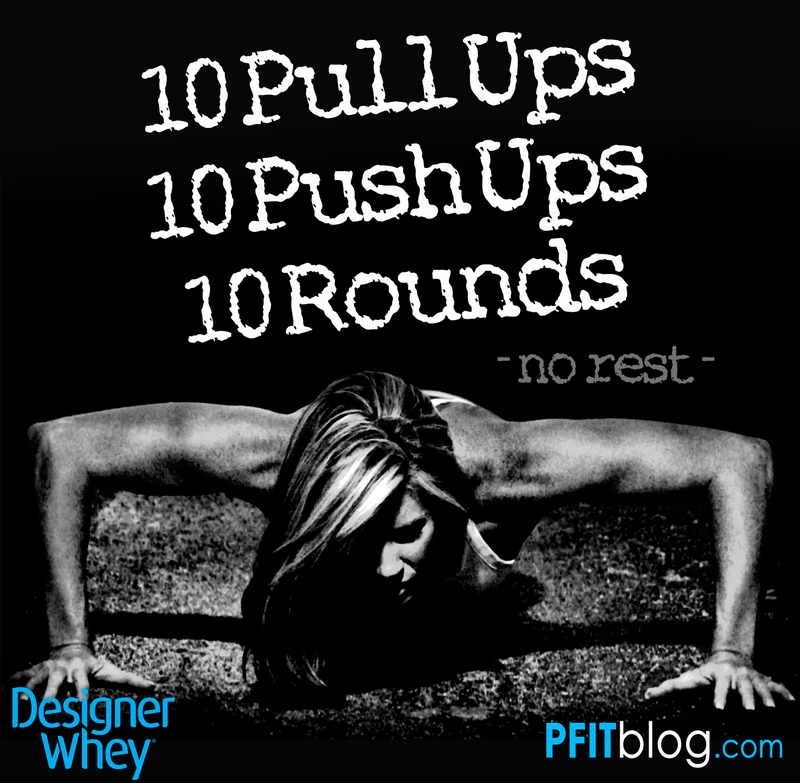 Hashtag #designerwhey if you share this workout!! Nice stuff! Women need to believe that they can do push ups/pull ups – they always tend to shy away thinking these exercises are for men. I am interested in the bodylastic bands for assisted pull ups…….are these just regular resistance bands or something different?